You might know our team (Team eLevate) from games like CS:GO, CoD, BF4, World of Tanks, Halo, and TF2, and now we’re looking for a new member to be apart of our Evolve hunter squad! Know all the elite wildlife buffs for both hunters and monsters. Know the location of the major elite creatures on all the maps. Able to communicate important information while on the hunt. Understand when to shoot the monster and when not to. Meet our level of understanding of the game’s mechanics. Know how each hunter plays and keep a mental clock as to when abilities are on cool down. Have a very high degree of accuracy. Other things I can’t think of. Take criticism well and adjust. We are looking for a very well versed hunter player. We only play Sunday for the Evolve Go4Evolve Cups and most weekdays for practice. If you’re considering joining us, add me as a friend on Steam (http://steamcommunity.com/id/LeadMachine/) AND post a reply to this thread expressing your interest. I will be reading over this forum post regularly. Elevate is a premier, international esports organization fielding world level professional teams in a number of competitive titles. Elevate. 12,134 likes · 22 talking about this. 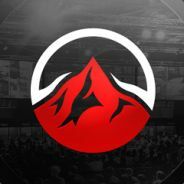 Team eLevate is a North American based eSports organization dedicated to the development of the eSports industry and the skills of the players within. Elite Hank/Elite Cabot player here…160 hours in game not counting Alpha. Can vouch for these guys as one of the better teams out there I’ve been able to play against. Good luck to you guys in your search! Very interested joining a competitive team to practice with and play in tournaments. I’ve been maining trapper with a lot of Markov and Hank on the side, Markov being my “second main.” I meet all of the requirements listed and would love to chat. You can reach me easily here, on steam, or on reddit (thevirindi). Interested in playing with a solid team of hunters in tournaments and practice. Hey there, I meet the requirements mentioned above and would be interested in talking/playing with you. Clocked about 150 hours since launch and I’m experienced with both Hank and Cabot aswell (but a bit less) with Markov. I’ve added you on Steam and will be easy to reach from there. Oops sorry, it’s PC only. Updated with PC requirement. You guys still looking for a member? I can play Medic, Assault, and Trapper well, with Support being my weakest role. Wanted to get competitive Evolve play, just have had trouble getting a solid team, so if that’s what you’re offering, I’ll join in. I added you on steam ;). I want to play evolve competitively, I search a good team with which I can have fun and high level gameplay. Your team seem to be good with my criteria, that why i would like play with you guys ;). Hope we can Chat more on steam .